Item S-NBC-13 * Netbook / iPad Sleeve- Protect your computer with this Neoprene Sleeve, 13.5″ x 10.5″, Image 1-side; black on other. High-Quality Neoprene (Wetsuit Material) with Zippered Closure. 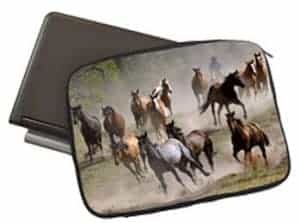 Item S-NBC-12 * Netbook / iPad Sleeve- Protect your computer with this Neoprene Sleeve, 9.25″ x 12.5″, Image 1-side; black on other. High-Quality Neoprene (Wetsuit Material) with Zippered Closure. 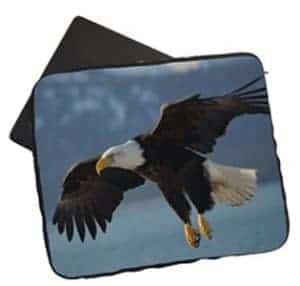 •Carefully flip over and place the laptop sleeve on the heat press with the transfer on top. •Be sure that the zipper is hanging off the edge and does not come in contact with the heat press. •Insert cardboard inside the sleeve. This is necessary to avoid imprinting being affected by the bulk of the inner seam. Be sure to insert cardboard between printable side of sleeve and inner seam. •Press at 400° F for 45 seconds using Firm pressure. Note: These instructions, including transfer times and temperatures, are based on the inks, paper, ovens and products we use. Your inks, papers, etc. may require adjustments in your time/temp settings.